A little more gourmet! Artisan Nachos and just spicy enough salsa are the main attractions here, with the addition of perfectly roasted chickpeas, flavourful cornichons and more. All of the freshest and gourmet must-haves! Celebrate a birthday, say thanks, or cheer up a loved one. 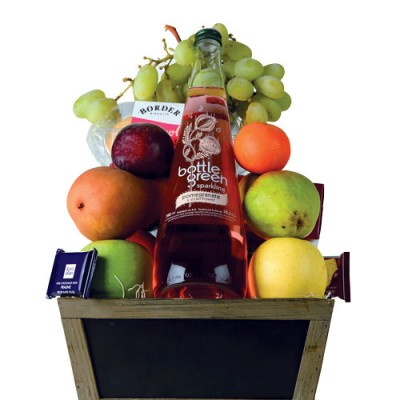 The Fresh Sensations basket is for all occasions. 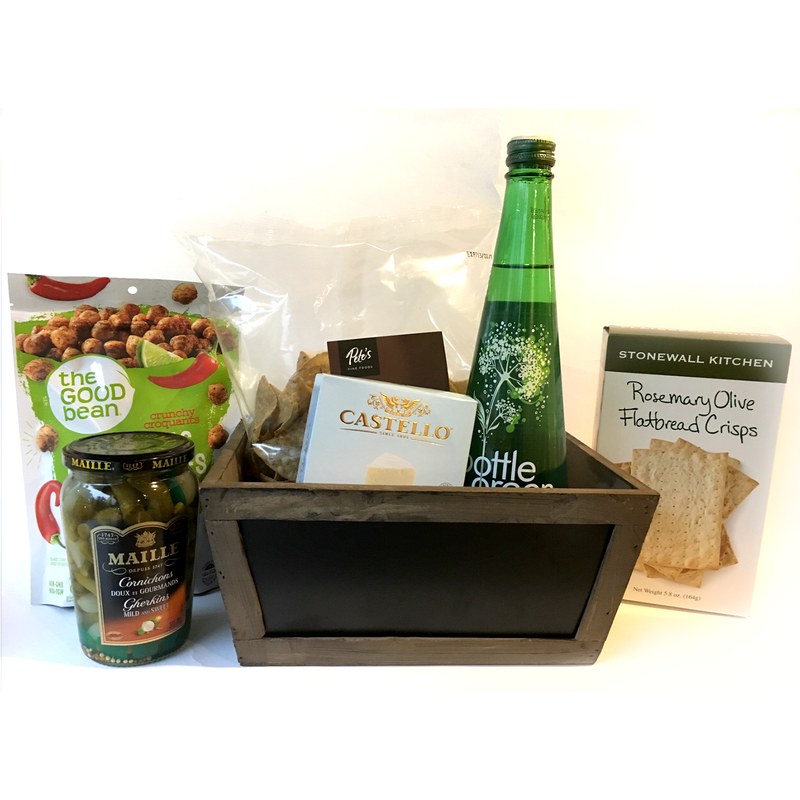 Your friends will be tempted by the chocolates, cookies, crackers, sparkling drink and delicious array of fresh fruit, carefully hand-packed in a charming rustic box. A perfect gift for your office or workplace. 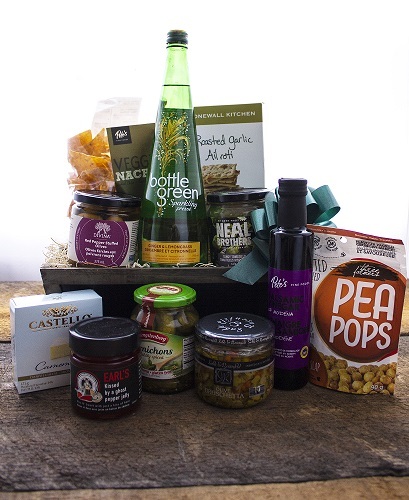 Everything you need for a party of sophisticated chefs or avid snackers in one basket! From cornichon, perfected roasted chickpeas, to flavoured sparkling water and all the ingredients for gourmet nachos. Our impressive collection of gourmet snacks and ingredients are sure to impress even the most refined tastes.